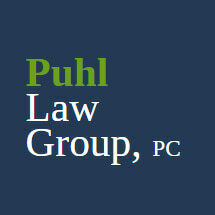 At Puhl Law Group, P.C., in McKinney, Texas, we focus our practice exclusively on family law and helping our clients with difficult and emotionally challenging legal issues involving divorce and other domestic relations matters. Serving families in McKinney, Plano, Allen, Frisco and all throughout Collin, Denton and Dallas counties, our law firm delivers the compassionate support and aggressive yet reasoned representation you need as you work to resolve your conflicts involving child custody and support, visitation, alimony, paternity and more. In addition, our law firm can help draft, enforce and defend pre-marital and post-marital agreements, and we are adept at handling cases involving high-net-worth estates and complex property division. Should you need to modify or enforce an existing divorce agreement, we can help you with that as well. Board-certified in family law by the Texas Board of Legal Specialization, we possess the extensive skills and resources required to handle the demands of your case regardless of how complex it may be. Whether though litigation, mediation or collaboration, we will always keep your best interests at the forefront of our efforts to help you achieve the best possible outcome for your case. To find out more about how Puhl Law Group, P.C., can best serve you and your family in your time of need, you can contact our law office or visit our website to schedule an initial consultation.